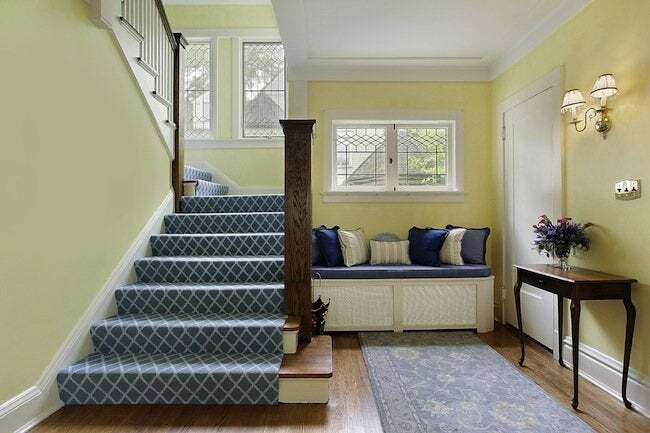 August is the ideal month to tackle an outdoor project and boost the curb appeal of your home. It’s August, the summer is in full swing, and the living is easy. Well, sort of. As every homeowner will agree, there’s always something to do around the house or the yard to keep things looking good and performing well. 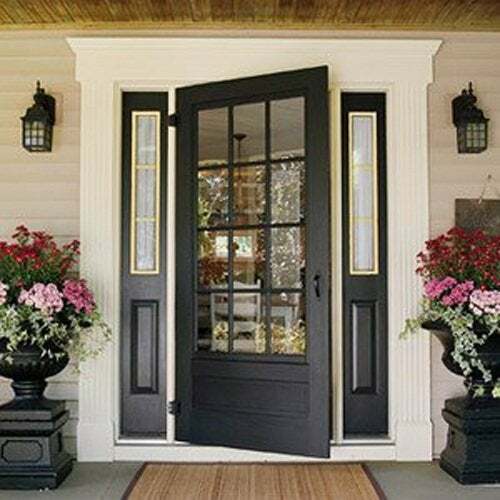 This month is the ideal time to tackle some upgrades on your home’s exterior; simple, inexpensive things that you can accomplish on your own to boost the curb appeal of your home—its resale value. Turn off the power. You will need to go to the main circuit breaker of the house to shut off the power to the existing light fixture. Don’t think that having the light switch on “off” is a sure-fire way to cut the power entirely. It’s not! Remove the old fixture. The existing fixture will be attached to the wall with either a mounting cover plate or exposed screws. If the former, lift the plate off to reveal the mounting screws. Loosen and remove the screws while holding the fixture in place until you disconnect the wires. The mounting bracket. Chances are the old light fixture was affixed to the wall with a crossbar mounting bracket. You should replace it with the mounting hardware that came packaged with your new fixture. Depending on the style of lantern, the crossbar is either a 4-inch circle of metal with several holes cut in it, a 4-inch by 1-inch metal plate with several holes, or two 4-inch by 1-inch metal plates connected in the center to form a cross. Wiring 101. Connect the wires according to the manufacturer’s instructions: white (neutral) to white, black (hot) to black, and green (ground) wire to the bare copper wire from the junction box. Use plastic wire screws to keep wire connections secure. (You can also choose to secure connections with electrical tape.) Pack all the wires back inside the outlet box, making certain not to loosen connections. Power on. Turn the power back on at the circuit breaker and test out your new fixture. You can avoid the expense of a structured walkway and add visual interest to your home’s landscape by laying a more casual pathway. Choose from a full range of materials—bricks, pavers, flagstone, granite slabs, river rocks, gravel or simulated stone products like above—to design the path that fits your home’s design and matches your DIY skill set. Not interested in cutting stone to configure into a pattern? There’s so no need. Plenty of designs require nothing more than a little imagination, a thoughtful plan, and some basic skills. 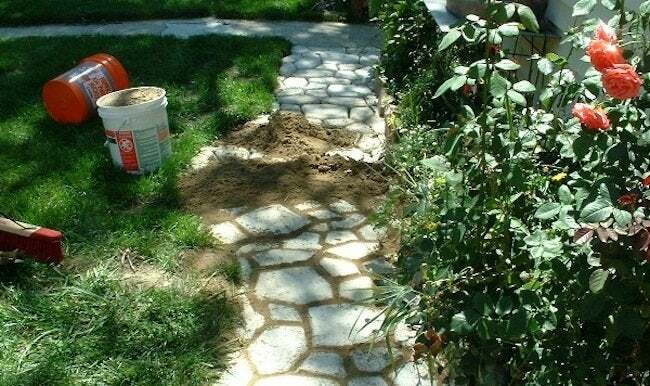 For inspiration, check out Garden Paths: 12 Easy-to-Imitate Stone Walkways. A simple window box can add enormous curb appeal to a house or an apartment while providing an attractive garden view from indoors. There are a multitude of products on the market today—wood, plastic, resin and metal—that embrace a broad range of designs and price points. Feeling crafty? Make one yourself. It’s an easy woodworking project that requires minimal tools and materials. You can tackle it as a family, imparting how-to skills and an appreciation for small-scale gardening to your kids. Click for our simple How-To: Make a Window Box. If you are looking for a way to free your garage of unnecessary seasonal storage, consider the benefits of a ready-made shed. Not only are sheds a practical choice for outdoor equipment storage, many are appealing as an architectural element in the yard. But today’s sheds aren’t just for the garden. Coming in all shapes and sizes, some are perfectly suited as a standalone workshop, artist studio, or home-away-from-home office. See what we mean with these 10 “Style-Setting” Garden Sheds. Although serious rain shortages and extreme heat have parched many a lawn and garden this summer, you can take some initiative and responsibility by installing a rain collection system to help with future irrigation needs. A rain barrel, or some variation thereof, will allow you to keep your yard and garden well-irrigated without tapping into well water or municipal water supplies. You might want to check with your town to see if there are any restrictions on rain barrel use or size, first. If you’re good to go, here are twelve Rain Barrels That Perform With Style.